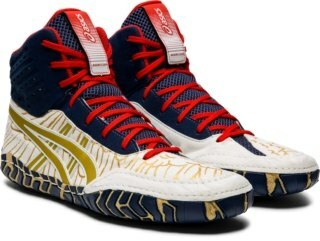 ASICS® makes history again--this time with the first-ever female athlete-endorsed wrestling shoe. In partnership with Three-Time Women’s World Champion Adeline Gray, we’re proud to introduce the #GraytoGold-inspired Limited Edition Aggressor® 3 model. As the best-fitting, most durable shoe on the market, The Aggressor® 3 model is the shoe of choice for top wrestlers, including Gray. This version has a newly redesigned super suede upper construction for durability, comfort and premium fit. A new single mesh tongue offers more breathability and features a streamlined Integrated Lace Garage™ System. The shoe’s aggressive Duosole® outsole has molded teeth for an optimal balance of grip and flexibility. The shoe’s colorway pays homage to Gray’s social media movement and drive to be the best female US wrestler. As Gray continues to take her sport to new heights, The Aggressor® 3 model is there to support an athlete who’s an idol to young female wrestlers everywhere. 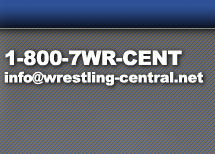 This collection offers our specialty wrestling partners exclusive styles for their loyal customer base.